Measures 42 inches wide by 44 inches long. 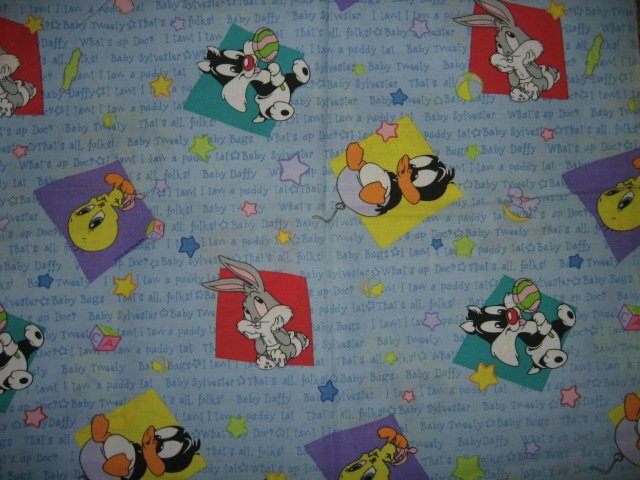 A delightful, colorful Baby Looney Tunes fabric piece that matches the panel I have listed. Make a wall panel or crib panel to sew.